The big game day is here and there is as much nervous excitement in the food department as it is in supporting your favorite teams. I made this smoked salmon dip a few weeks ago when the Seattle Seahawks were still in the running, as a representation of sorts, for what the great Pacific Northwest can offer. 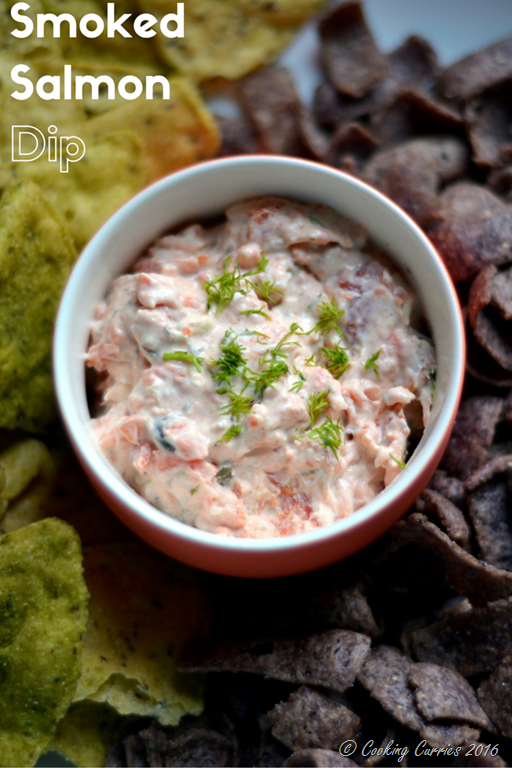 Here is the recipe for this super quick and easy dip that takes only about 2 mins to make. I also decided to jump in to the video recipe bandwagon and shot a step by step video of how to make this dip. If you would rather have a printable recipe to print out and keep in your recipe book, we have that also. Hope you enjoy the video and the recipe! And may the best team win! Put all the ingredients in a bowl. Mix them together with a hand mixer till it all comes together. Serve with some chips! I’m always looking for party food ideas great recipe, thanks! Not only does this sound delicious, but I love that it’s so quick and easy to make!! Perfect! My dad absolutely LOVES smoked salmon, so I’ll need to share this recipe with him. And, this recipe looks so easy to make that even he can master it:D Thanks for sharing! You are very welcome ?